The Universty is looking to capture the student voice and respond proactively, and will be seeking to gain student feedback on their experience through a range of different mechanisms. The touchpoint survey has been developed as a helpful tool to enhance the practice that currently goes on across the University, and further background information can be found from the DLTE’s Student Engagement in Quality page on the staff intranet. 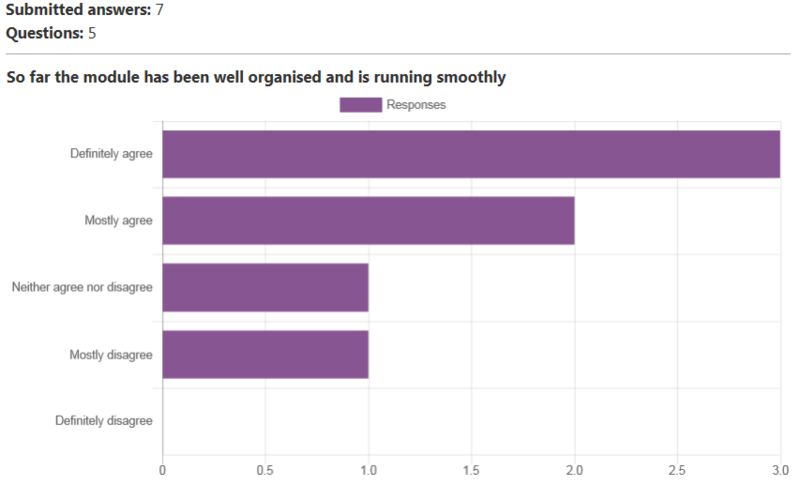 The survey is made available to students within their Moodle modules using the Feedback activity. The short video below shows how you can quickly create add the activity to your module and import the questions from a template. Create a Touchpoint Survey (no sound). Use Chrome or Firefox browsers to adjust the video speed (hosted in Panopto). The results of this survey will be available for you to view from the Analyse tab within the Feedback activity. 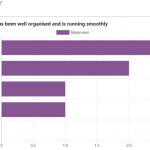 The module leader and any colleagues with Teacher access to the Moodle module will be able to view the touchpoint survey results. The short video below shows how to view the results and to export them to Excel. Analyse a Touchpoint Survey video (no sound).